(Online Interactions Not Rated by the ESRB) Download the manual for this game by locating the game on http://marketplace.xbox.com and selecting “See Game Manual”. 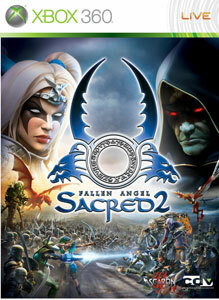 SACRED 2 – Fallen Angel is a vast and deeply playable Action RPG. Embark upon Light and Shadow campaigns in a seamless game world that blends solo and multiplayer gameplay, and is packed full of quests, characters, adventure and deadly combat. There are no refunds for this item. For more information, see www.xbox.com/live/accounts.